Congratulations to the winners of the Social Media Marketing Society Free Membership Contest 2015. Elina Mäkinen won the written contest, describing her biggest social media marketing challenge. Read her winning entry here. And Chris McCormick (@ChrisLimboArt) won the Twitter contest by random selection. Elina and Chris will be enjoying one year of membership in the Social Media Marketing Society–the exclusive new membership community from Social Media Examiner–free! Thanks to everyone who entered our 2015 contest. 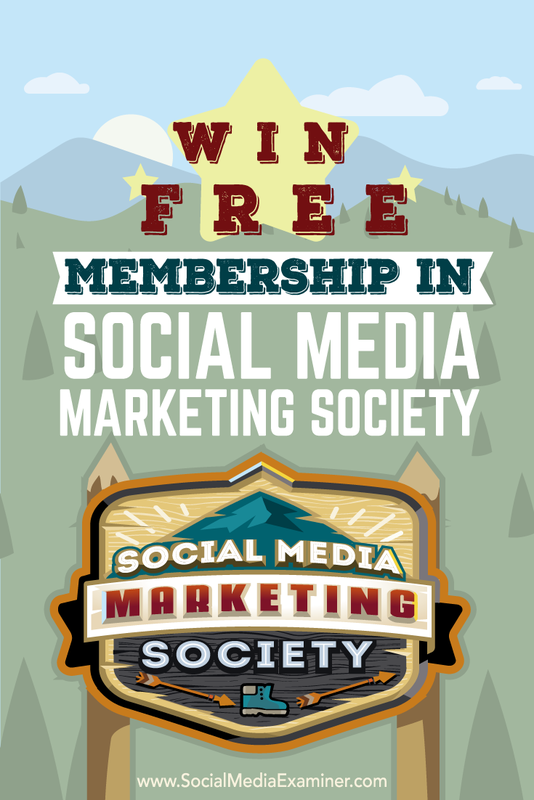 Want to win a free membership in the Social Media Marketing Society? 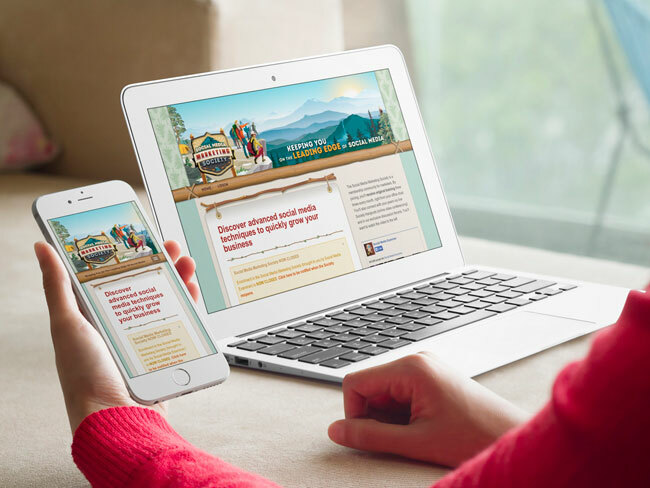 Social Media Examiner has launched an exclusive new membership community designed to keep marketers like you on the leading edge of social media. And we’ve come up with two fun ways for you to get involved. First, what is the Society? The Social Media Marketing Society is a place where busy marketers and business owners get training to keep up with the latest in social media marketing. 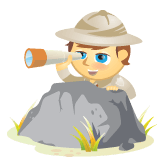 Discover how to win free membership to the Social Media Marketing Society. #1: Exclusive Training: As a Society member, you’ll receive highly tactical (and live) training on the latest in social media marketing, delivered to you three times every month, no matter where you are. Access online Society training and networking from anywhere, on any of your devices. We’ll show you, step-by-step, how to implement the latest in social media marketing using Facebook, Twitter, LinkedIn and beyond. #2: Community of Marketers: The Society is much more than just a place where you’ll receive top-notch marketing training. You’ll also be able to network with fellow marketers just like you. Connect with your peers in our online forums and live Society Hangouts. No longer do you need to wonder how your peers are tackling the same struggles you are. With the Society, you can easily connect with other marketers, share experiences and support one another. Here’s the really cool part: Everything takes place online! How can you win a one-year membership? We’re giving away two free memberships in the Social Media Marketing Society, plus the opportunity to be promoted to more than 390,000 of your peers! You can tweet up to two times per day. Each tweet is an entry to win. All tweets must have the #winSMMS15 hashtag included. We’ll randomly draw one winner who will be awarded a free year of membership in the Society. Simply write about your biggest social media marketing challenge and why you should win a free Society membership. Post your entry in the comments box below (scroll down). Our judges will select one winner who will be awarded a free year of membership in the Social Media Marketing Society, PLUS a mention in the Social Media Examiner newsletter (390,000+ subscribers)! The judges—Phil Mershon (Director of Events & Operations, Social Media Examiner), Leslie Samuel (Senior Manager-Social Media Marketing Society, Social Media Examiner), and Erik Fisher (Community Manager, Social Media Examiner)—will select the winning entry. Their decisions are subjective and final. The entry deadline is Tuesday, June 30, 2015, and the winners will be announced in early July. If you’ve already registered for Society membership, no worries. If you win, we’ll give you a full refund. (In fact, we encourage you to join, since enrollment will close before the contest winners are announced and won’t open again until 2016). We look forward to seeing your written entries and tweets. 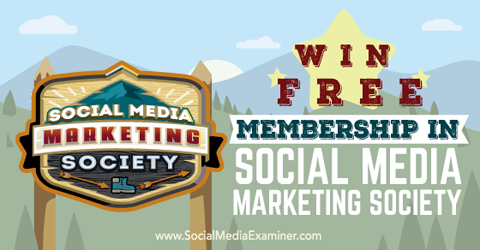 Find out how to win free membership to the Social Media Marketing Society.